When you watch a television advertisement, what do you expect from it? It should tell you the positives about the product and how will the product useful to you. In marketing language if this information is effectively communicated to the targeted audience, you have done successful branding of your product. When you are looking for a job consider yourself as a product and your interviewer as your target audience. You have to brand yourself as a perfect candidate for the open position in their organization. Hence, you need a brand driven resume. A resume that markets you as a brand is a brand driven resume. 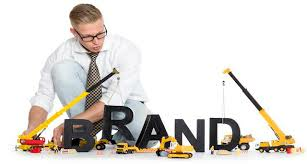 Your personal brand has an important role to play in your job search. The time has changed and today recruiters want to see much more in your resume than just educational and past experience information. It now requires you to target, have career success stories and should value proposition. A brand driven resume should sell you to the employer in a way that a company sells its product through its brochure. Throwing out everything that you have ever done in your resume can work the other way round for you. Don’t let your resume look like a mix of job titles and keywords. Instead, work on it to clean up your resume, customize it and let it speak your brand. Your resume should be clear and focused. This is similar to do not use one resume for every job that you apply. Pick one job and convey your achievements, skills, talents and passions that are related to this job. This also does not mean that you have to rewrite your resume for every new job. Just tweak it according to job. Next, create a personal branding statement and use the other parts of the resume to support the statement. Your talents, skills and passion should support your personal brand. Personal brands includes statements like what makes you a great say marketing manager or why you fit in perfectly for the job applied. Lastly, customize your resume. Include relevant career summary along with a personal brand and relevant accomplishments. With these things that should definitely make a space in your resume, there are somethings that you should definitely take care of not including in your resume. What Should Not be a Part of Your Brand Driven Resume? The career marketing document should just have enough compelling information so that the employer generates interest in you. An employer would not be interested in your irrelevant career history or education. So make your pick before you include information in your resume. Do not fall back on clichés. You have done your branding. Now do not be a part of the group that uses old phrases to sound too desperate for a job. Avoid out of the box thinker, team player, and visionary leader etc. to maintain the edge you have gained through branding. Use action verbs rather than passive verbs. These make you look action oriented. Using words like “responsible for” and alike is simply listing down your duties that the employer is hardly interested in. Yes, reading job description and extracting important stuff from it is important. But your resume should not look like another job description to the employer. Use the right amount of relevant keywords all through your resume. If the keywords can relate to your branding statement, nothing better.